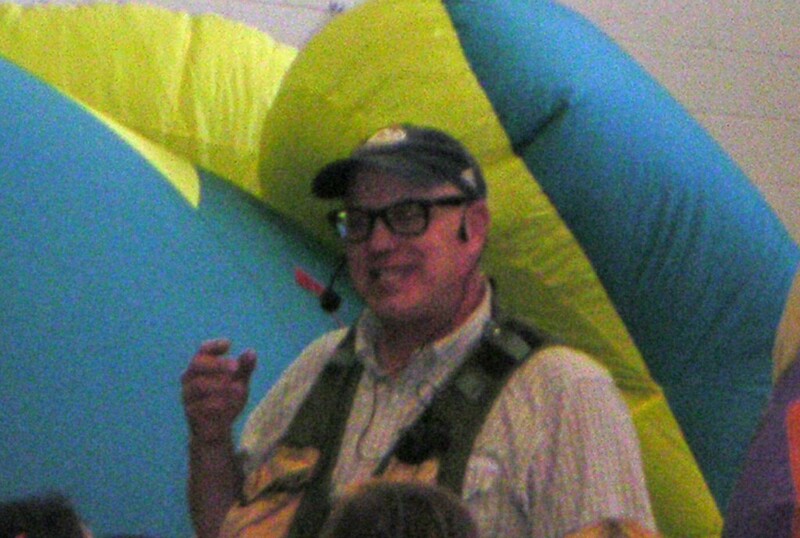 Every year the second grade students enjoy Dinoman’s presentation. He wows them with examples and unbelievable facts. 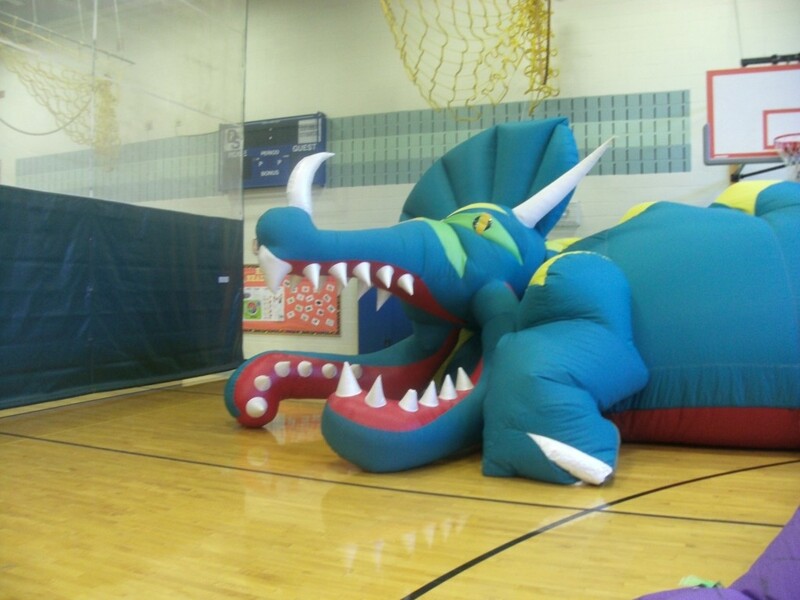 He also takes them inside of an inflatable dinosaur to discuss the insides and vital organs of a dinosaur. We were curious to know what the students thought of dinoman so we asked three questions, the first question was, what is the most interesting fact you learned from Dinoman’s visit? We had varied answers on this question for example, tree sap can become a fossil was said twice, dinosaurs swallowed rocks was said once, when dinoman is digging he wraps up the bones in a special paper was also said one time, the triceratops horn has blood vessels going through it was said once, how animals and plants become fossils was said twice. The second question was what is your favorite dinosaur and why? The answers we got for this question were mostly the same, T-Rex because it is really tall and good at catching food, Brachiosaurus because of it’s long neck, Diplodocus because it eats vegetables, Triceratops because it has three horns. The third question was, do you like dinosaurs more or less after talking with Dinoman, why or why not? The answers were all the same in the main part but for different reasons. They said more, because they got to go inside the dinosaur, because they learned more from them, because its exciting and you can learn more and more about dinosaurs and how they lived, because its really cool how you learn about them, because Dinoman told them many cool facts about dinosaurs. 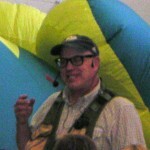 Dinoman’s visit is a favorite among the second graders; they love dinosaurs! Huge! Gigantic! 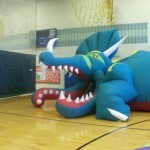 Creatures filled the gym of Chickering School. What are they? 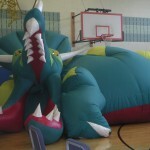 Life size colorful blow-up dinosaurs. Who are they for? We asked some students who were learning about The Dinosaur Unit in second grade two questions: What is your favorite dinosaur and why? From Mrs. Baker’s class, Andrew said that the Plautus because he likes how the tail and neck is really long. Addie likes the Pterodactyl because it can fly. From Mrs. Brannelly’s class, Amy said that she likes the Pterodactyl because it can fly. Theo , T Rex because it’s huge! From Ms. Genetilli’s class, Ingrid said that she liked the Brontosaurus because it’s a plant eater and she likes plants. Aiden said that he likes the Stegosaurus because he likes spikey things. From Mrs. Moran’s class, Noah likes the T Rex because it’s one the most bad dinosaurs, it can kill other dinosaurs. From Mrs. Young’s class, Kevin likes the T Rex because it has three horns. The second question is what was one new dinosaur fact you learned from Dino Man? – Kevin learned that the dinosaurs that Dinoman showed them were not real dinosaurs. – Addie learned that you can dig for dinosaur bones. – Amy said that paleontologist put the bones the wrong way in museums. – Ingrid learned that not all dinosaurs have big bones. – Aiden said that the egg is more oval than round. We interviewed lots of kids about dinosaurs and their visit to. Dinoman is a person who specializes in dinosaurs, called a Paleontologist. We asked kids what they learned from Dinoman. The second grade was learning about dinosaurs in science. The second grade had to pick a dinosaur that they liked and make a poster or diorama about it. We interviewed 1 or 2 students from each class in second grade. They all learned something new.